Now that we've got the holidays and festivities behind us, let's take a look at how 2010 compares to 2009. I've been tracking market stats all the way back to 2003. It's interesting to look back and see how the market climbed before the inevitable decline. 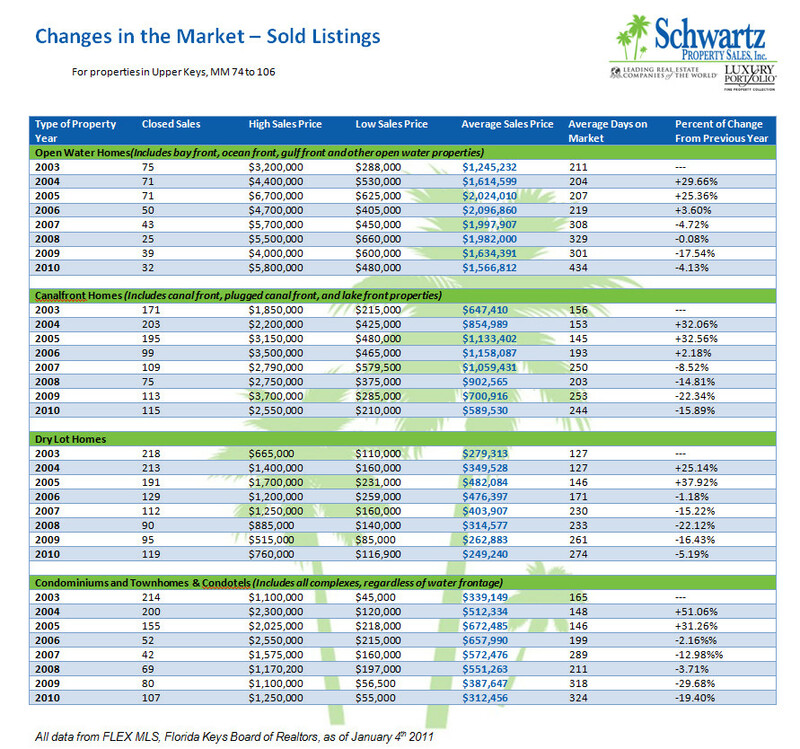 2004 and 2005 were the glory days in Florida Keys real estate! In 2010 we continued to see declines in the various market categories, but the decline was not nearly as dramatic as years past, giving hope that perhaps the market is stabilizing. The question everyone is asking - have we hit bottom - remains unanswered as long as we continue to see decreases, but the lower percentages are a good indication that we might see the bottom soon. Rates are still low and inventory is plentiful, making this a great time to invest in the Florida Keys. Unlike other investments, a home in the Florida Keys is something you can use and enjoy as the market continues to improve. 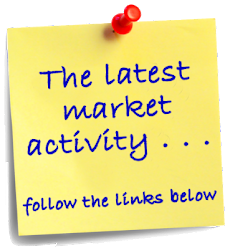 If you'd like more information on any particular segment of the market, please do not hesitate to contact me.